Do you want one chance to become a cricketer? Are you frustrated by a world that does not give you the chance to prove your skills? And Monty Desai knows exactly what you need to do. He knows because every day, young players from all over India contact him to ask for a place on his Mumbai Academy. They are passionate, talented and loyal. Like you, they simply wish to be able to prove they have the ability to play at the highest level. Like you, they know that chances do not come along often and they must grab them with both hands. They dream that they show their cricketing talent. They picture a time when they are pulling on the India jersey to play with pride for their country. They want to raise their bat aloft to the cheers of millions. Monty Desai knows that it's very much a reality. He's seen it time and time again. 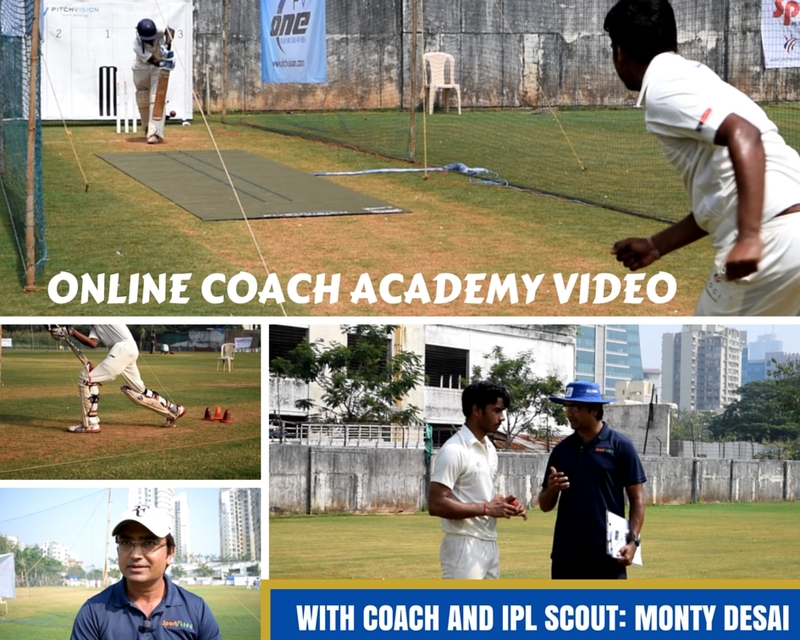 Though his Sport Life Academy in Mumbai Monty works every day to develop players who are ready for the IPL, ready for the Ranji Trophy and ready for India. He is an IPL Coach and Talent Scout with Rajastan Royals, and has worked with high-class players, and players who he has made high-class through his Academy. "When we looked at him he was bowling quick. Then we asked him his history and we came to know that he's a fisherman's son and he was living in somewhere small village out there and we came to know the whole story and we were taken aback. "Three years of work and we were able to put him into the system. He trained himself very hard and the credit goes to that boy. He was able to grasp what we were given to him, a lot of the techniques which were taught to him he was able to do that repetitively. He was able to practice that, day in and day out. He was smart enough to understand how to go about in the practice and he has progressed to state level cricket. "He somehow he found the way to reach his dreams." There's no doubting the pedigree. But Monty can't accept every raw talented cricketer to hone into a professional So, the answer is to bring the Academy to you through this online coaching course. The course contains all the tools you need to find your chance and take it. The path from tennis ball to IPL explained in detail, with tips on moving forward. A foolproof way to build confidence as a cricketer. A secret way to gain respect from any coach and improve you chances of becoming a cricketer . How to become a T20 specialist, even if you are older! Simple ways to respectfully ask a coach or Guru for your one chance (even if you only have Facebook). 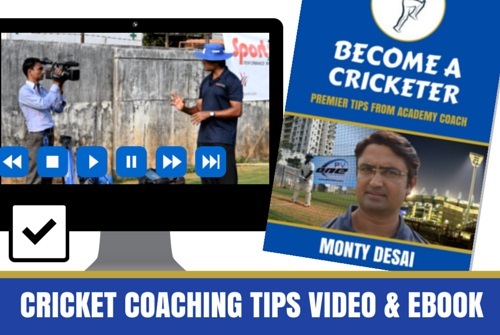 With videos and a complete eBook, you can start your jourey to become a cricketer. You can know the advice comes from a coach with vast experience. Of course, you still need to work hard, but you are ready for that. With this guide you can work hard, work smart and make your dreams come as true as that Fisherman's son. Click the green "Buy" button to start. Click to view the streaming video on How to go from tennis ball cricket to IPL. Download the complete 15 page, 4,200 word eBook on how to become a cricketer.